The Ultimate Sails team developed and tested the first set of sails on the first J97 'Jenga' in the UK on which we went on to win Black Group during Cowes Week that first year, and then on to win the J-Cup in which we placed 1st 8 times in a row. We followed this with a 2nd in Class, around the Island and 1st overall on corrected IRC time. Through sailing the boat regularly we’ve made progressive improvements to the design of each new sail and we have been able to come up with a package that takes the boat through the full wind range without compromise. This understanding has not only allowed us to produce fast sails that suit the characteristics of the boat but also to improve the durability and help them to be fast for longer. 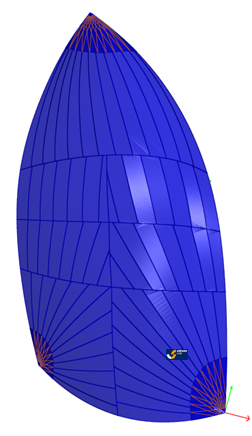 Upwind sails are constructed with primary Fibres of Black Aramid which gives a good balance between shape retaining strength and performance. Durability is increased with the addition of a technora X ply scrim and extra leech fibre passes. The mainsail must be an incredibly versatile sail to go from three to 25 knots of wind and still provide power downwind. 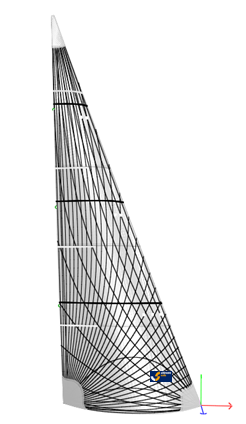 By tailoring the luff curve and seam shape to match the flexible aluminium rig and our tuning guide this sail can be manipulated to suit the full range of sailing conditions whilst providing a wide groove. We’ve also recenstly introduced new fibre layouts to help support the aerodynamic shape of the sail over the full range of backstay tension. 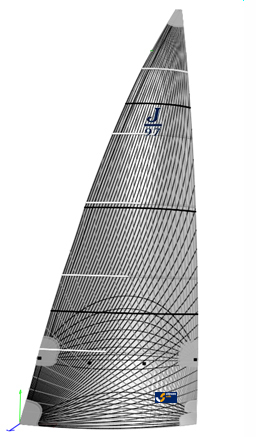 The vertical profile of the J97 Code 2 Jib, on hanks, needs to be very fair to maximize the wind speed range in which the sail operates. We’ve refined this profile to ensure that the sail generates maximum power in light winds but can then be flattened using a combination of sheet and halyard tension for strong winds. Combined with the introduction of new fibre layouts and increased fibre content, this sail is more durable and versatile than ever. The biggest change in sail design during the life of the class has undoubtedly been in the downwind sails and we’ve been at the forefront of these developments. 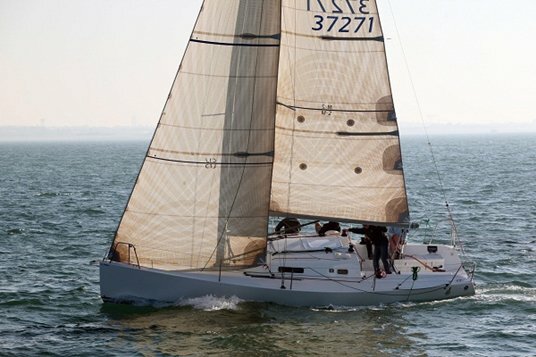 Class rules limit the J97 to one masthead and one fractional asymmetric so its important that the masthead sail works through a wide wind speed and wind angle range. 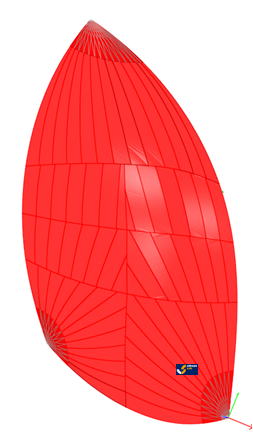 Our latest Code 2 masthead asymmetric design is very stable and the luff rolls well to windward to allow you to sail deeper angles in light and medium conditions. This combined with stepped construction (0.9oz nylon in the high load luff area) and maximum twist in the top leech increases acceleration and helps to promote early planing for a great all round sail.